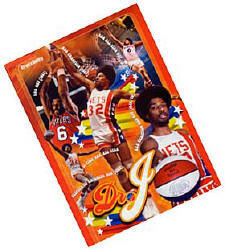 Julius Erving (Dr J) at the top of his game as one of the best basketball players ever. "From 1974 through 1978 I photographed pro basketball. 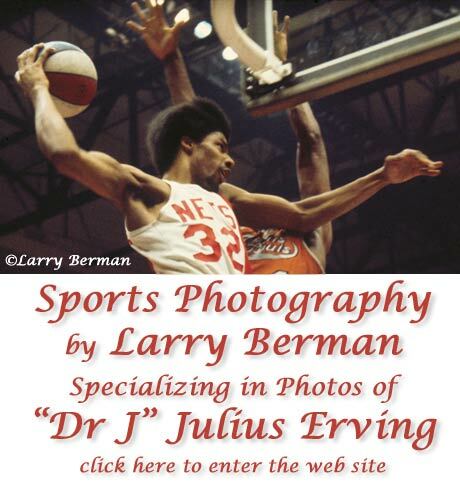 I was staff photographer for the New York Nets ABA team and was fortunate to have been able to photograph Julius Erving, one of the greatest basketball players ever to play the game. 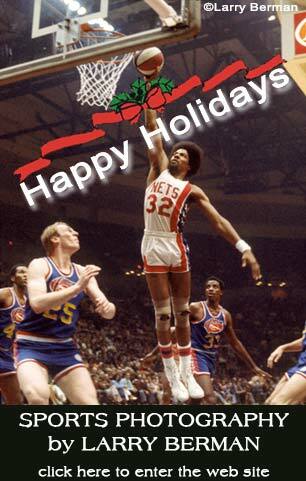 Much of what is available on this web site are Dr J photos." 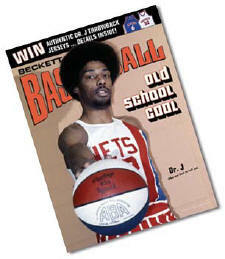 Julius Erving holding the red white and blue ABA ball. The picture that's defining the ABA and 1970's basketball. 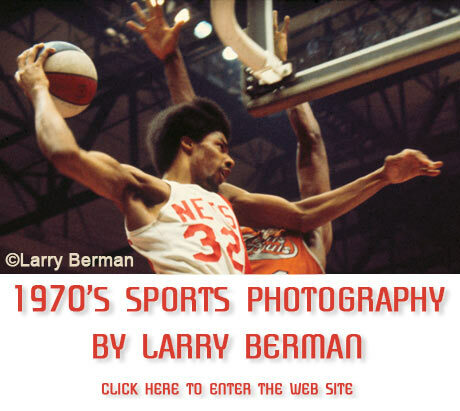 "From 1974 through 1978 I photographed pro basketball. 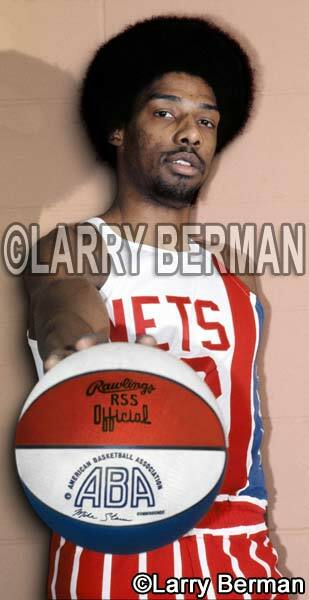 I was staff photographer for the New York Nets ABA (American Basketball Association) team and was fortunate to have been able to photograph Julius Erving, one of the greatest basketball players ever to play the game. Much of what is available on this web site are Dr J pictures."